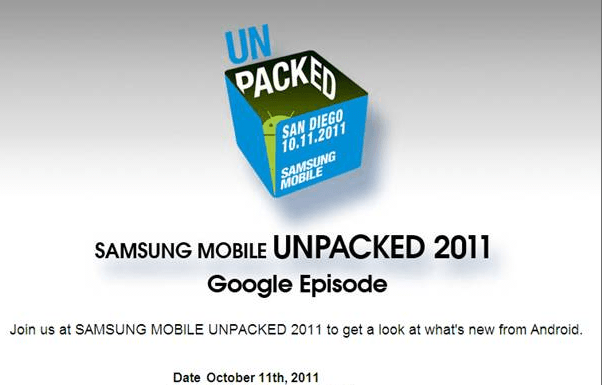 Samsung's next major Unpacked announcement event is official! Samsung has just sent out a flurry of invitations to their latest round of Unpacked event scheduled for CTIA's fall show. Of course anytime Samsung schedules a conference, its enough to get us here at AndroidPIT whipped into a frenzy– previous events gave us our first look at the Galaxy Note or Galaxy Tab 10.1– but with the promise to show us what's new with Android, we can only think of one thing: Ice Cream Sandwich. We already know that the latest Android operating system destined to bring balance to the Android tablet/smartphone world had been slated for an October/November release and it's only logical that the worlds most successful Android handset manufacturer would be given first crack at the worlds most popular mobile OS. Despite being optimized for both tablet and smartphone, not a lot is know about Ice Cream Sandwich (ICS), the latest distribution of the Android mobile OS. But with the glut of new devices that we've seen recently, the ICS update is sure to introduce a new generation of improved functionality to the Android community. As important as the ICS possibility is, it raises an interesting question; if Samsung peel back the wrapper on an Android Ice Cream Sandwich, what's it going to be running on? Samsung been very generous to the US as of late, bringing three new devices, the Galaxy Player 4.0 and 5.0 and the Galaxy Tab 8.9, to US shore. Could they really be planing to drop another major device in as many weeks? With the much rumored Nexus Prime, Google's next flagship phone, recently getting bluetooth certification, it looks like that could very well be the case. On October 11th will know more but until then check back here for all the latest info. that's fit to blog!